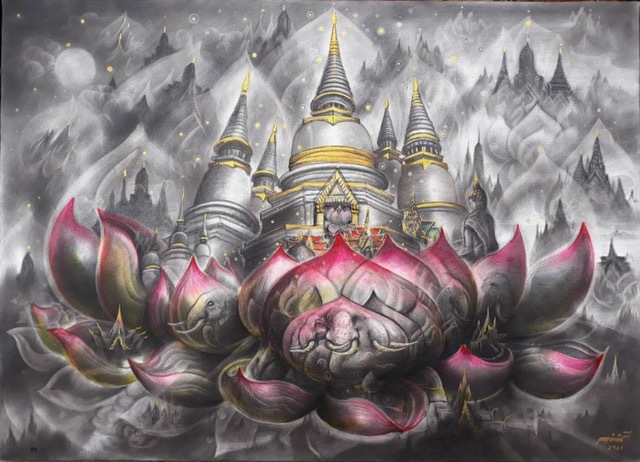 Sala Ayutthaya recently unveiled “A Perseverance of Arts” at an opening ceremony marking the latest exhibition hosted at the riverfront boutique property’s on-site art gallery. 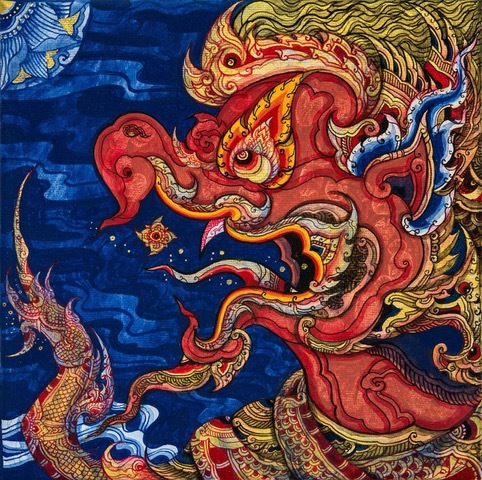 The exhibition, on display from September 13 until November 13, 2018, showcases the works of 13 top Thai artists, highlighting the creativity found in the kingdom and the time-endurance of its artistic heritage. “Our sala boutique brand is all about showcasing authentic cultural and destination experiences for independent travelers. 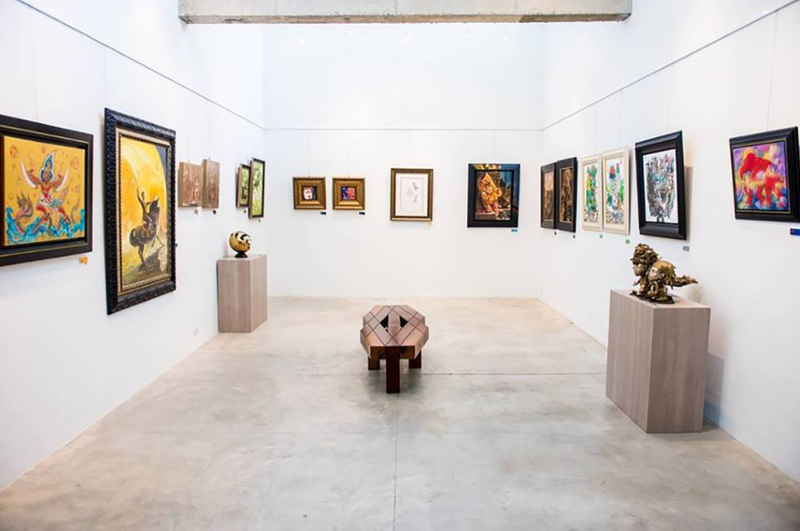 At the dedicated gallery space at sala Ayutthaya, we are also able to shine the spotlight on the kingdom’s artistic heritage, fittingly presented against the backdrop of this ancient city,” said Volkert Geertsen, Cluster General Manager for sala boutique. The exhibition is the latest in a string of sala boutique experiences including Taste of Place – signature dishes across the brand’s portfolio of properties which celebrate the diversity of Thailand’s culinary locations – and SALA Journeys, a neighbourhood guide series to authentic dining establishments and lesser-known sights in Ayutthaya, Rattanakosin in Bangkok, and Wat Ket in Chiang Mai. 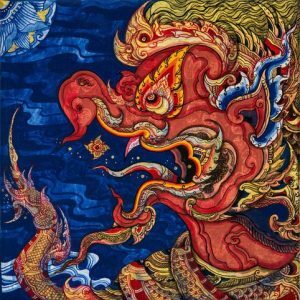 Sala Boutique is also working on a sala silapa art programme based on supporting young Thai artists across the kingdom, an initiative which the group expects to roll out in coming months. 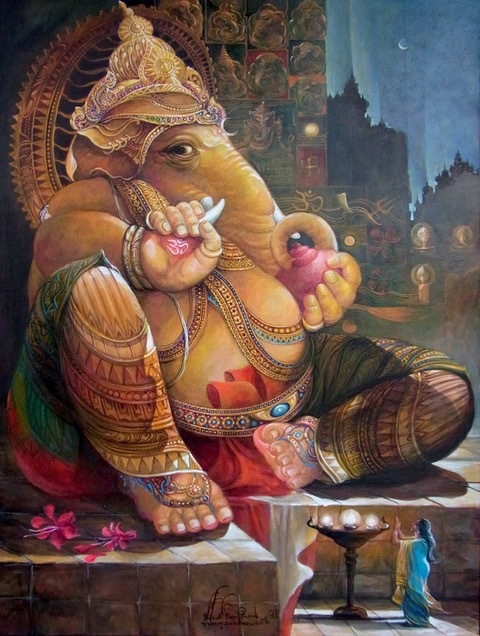 The group of artists taking part in the “A Perseverance of Arts” exhibition includes: Chuang Moolpinit, Choosak Visanukamron, Praiva Raiva, Jirasak Anoujohn, Suwatchai Tubtim, Kankacha Kongkamee, Sarawut Yasamut, Kiatanan Iamchan, Manit Gowarhit, Phet Cherdklin, Meechai Suwannasan, Kriangkrai Thamnamueang, and Kwanchai Thongsapyai. The most notable of the artists is Chuang Moolpinit, National Artist of Thailand, whose work often reveals his passion for Buddhism and nature. Since graduating with a painting and sculpture degree from the prestigious Silpakorn University in 1962, he has since gone on to master various mediums with some describing his style as “idealistic blended with fantasy”. Chuang Moolpinit started his career as a lacquerware designer at the Industrial Product Design Center, the Ministry of Industry, before going on to work on book covers and illustrations for major magazines. He also worked briefly for an advertising company before retiring to be an independent artist which he remains to this very day. Amongst his notable achievements is his movie poster titled “Pueng-Pang” which selected as one of the world’s most beautiful posters by the National Theater Institute of London in 1983.